Native American type, named after the Great Plains of North America. In pre-Colombian times concentrated in the Central Canadian forests from where it extended to the Mississippi. When Europeans reintroduced the horse to the continent, bison hunts enabled settlement of the Prairies. 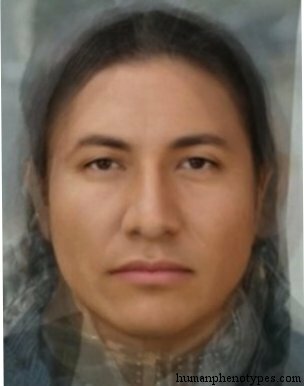 Today common in Siouan speakers (Dakota, Assiniboine, Lakota, Crow, etc. ), Blackfoot, and Cheyenne. 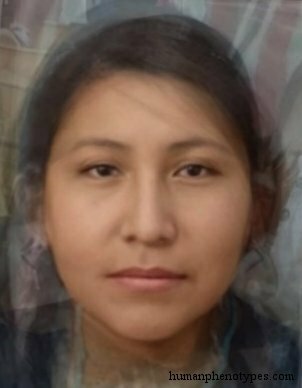 Mixed in Ojibwe, Apache, Dogrib, and others. Population still in the 100,000s. Yellowish/reddish light brown skin, but the name "red skin" came from war paint. Straight, sometimes wavy, black hair. Tall, mesoskelic, mesomorph to endomorph. Mesocephalic, ortho- chamaecranic, large-headed. Leptorrhine, prominent, long, convex nose. Angular, flat face with prominent cheekbones. Jaw massive, mouth broad, eyes sometimes slanting. Named and defined by Imbelloni (1952), Eickstedt (1952) and Cerulli (1967), Biasutti (1967) called it Dakota race and Neumann (1952, 1966) Lakotid. Others included it together with Appalacid in Silvid (Eickstedt, 1934; (Lundman, 1988; Knussmann, 1996) .